Linesman are key to any football game, so make sure they have the right tools to do their job with the Linesman Flag set from VX-3. 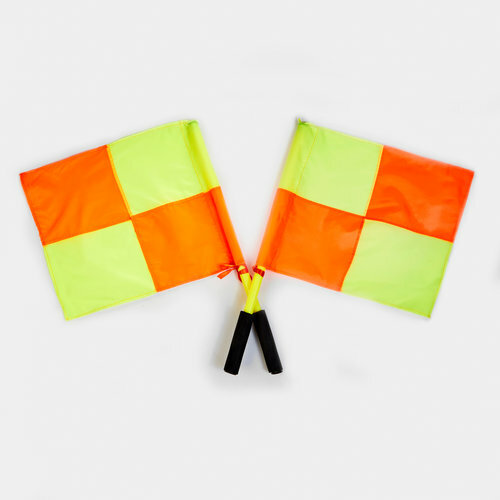 The Linesman Flag Set makes the role just that little bit easier, using brightly coloured fluorescent yellow and orange chequered flags. No matter what the weather conditions, you'll be clearly visible on the sideline. Featuring comfortable foam handles, you can be confident of making the right decision on the football pitch.